Every year, broadcasters are taking benefits by using video content. Companies have used it as a major tool to raise revenues by up to 300%. Companies use video content for conducting training, advertising etc. In 2018, Online videos grew as one of the most impactful modes of communication available on the internet. Before incorporating video on your website, you have to first select the hosting space to host your video content. Unless you are a big corporate house, you might not have enough capital to set up your own servers for video distribution process. The best solution available is to opt third-party video hosting service. There are many video streaming platforms available like Facebook Live and YouTube. These free services have various restrictions like the lack of technical support, license agreements etc. But professional video streaming platforms never block video hosts, content will remain under your license, provide necessary tech support etc. That’s why many business houses and individuals prefer using video streaming service to boost their operations. 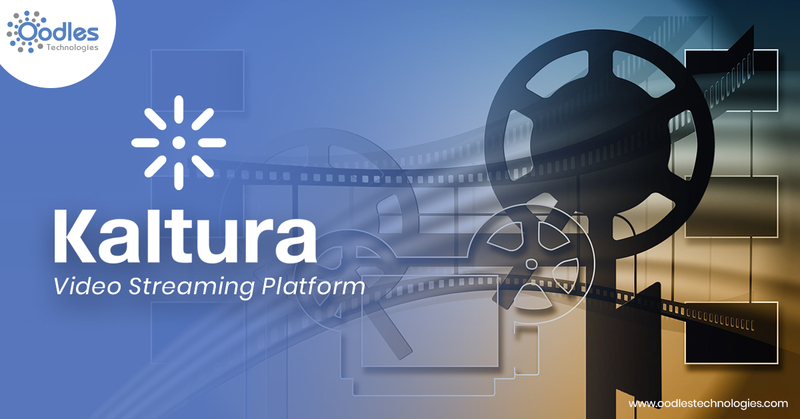 In this blog, I will tell you briefly about Kaltura video streaming platform. Kaltura is primarily a video hosting service organization, established in the year 2006 and headquartered in New York. It provides various types of services and products associated with Online videos. Nevertheless, it has two major offerings in this sector. VPaaS: VPaas or Video Platform as a Service. This particular service is created around a bunch of APIs and mainly emphasizes four major markets like video services for corporations, educational institutions, media companies, and last but not the least OTT (Over the top) video services. KMC: KMC or Kaltura Management Console. This console is used for media management system for handling, publishing, monetizing media, distributing, ingesting etc.? As per many experts, Kaltura KMC is a robust platform having lots of customization options. As it’s an open-source platform, members of the community can join the team of developers in expanding the product’s functions and features. Merging various features in Kaltura is very easy and fast. Kaltura is incorporated with features like bulk uploading and transcoding files, live streaming, and granular access control. A large number of other options are available in the complex backend with many add-on features. Kaltura’s VPaaS was launched in the year 2016. It is still a new product in the sector. Kaltura describes it as a “disruptive pay-as-you-go platform” having hundreds of video APIs. Because of some top-notch features, Kaltura video streaming platform has become one of the best choices of users. By using Kaltura VPaaS, broadcasters can build their workflows with an all-inclusive collection of APIs. It also offers a set of SDKs, code recipes, and developer tools. Also, Kaltura merges smoothly with other systems. These are some brilliant features which differentiate it from its various competitors. If you are looking for Kaltura video streaming service providers than Oodles technologies is the company you can contact with and the team will provide you some outstanding results.